In the midst of moving, I made a small Stampin’ Up! 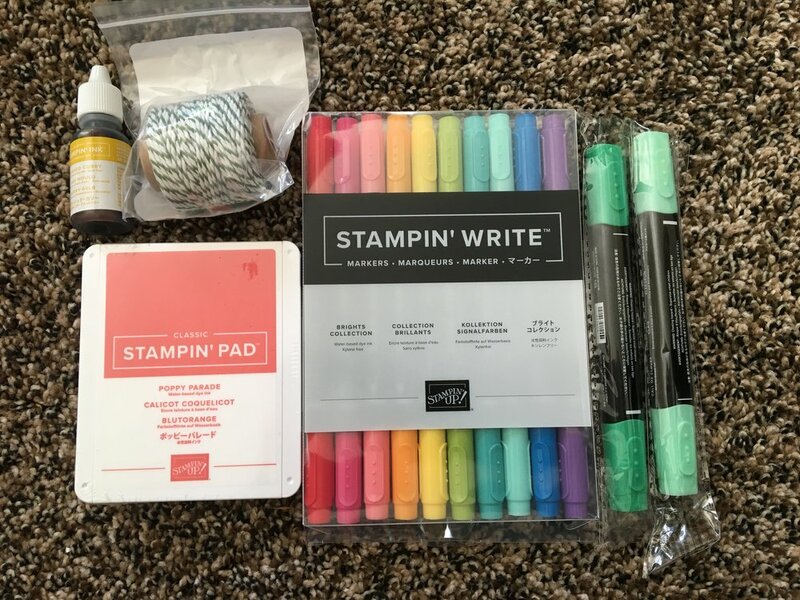 order with some colorful goodies! I picked up a Crushed Curry reinker, Garden Green Baker’s Twine, Poppy Parade Ink Pad, Brights Markers, and Call Me Clover Blends. I also received my planner sticker order from Nerd’s the Word Sticker Co. I love her kits and functional stickers. So I got a mix of both and earned myself a free sheet and a fun add-on for her PR Girl Battle.